News > Monkey Business 4.00.05 Release - upgrade today! Monkey Business 4.00.05 Release - upgrade today! 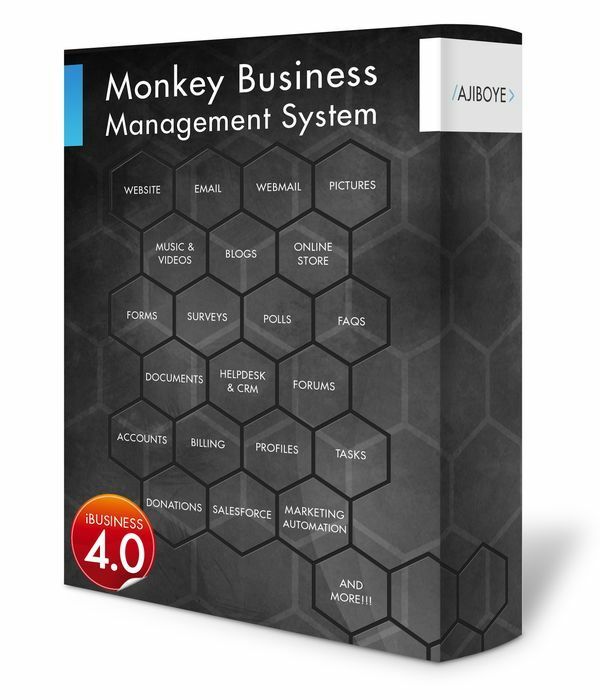 Greenwich, CT — Sunday, August 14 2016 — AJIBOYE Monkey Business Agency is pleased to release Monkey Business 4.00.05. Monkey Business Editor now supports easy background color, image and fullscreen overrides on a per page basis. Monkey Business Style Wizard now supports custom positioning specification ( top, right, bottom, left, z-index ) for even faster content layout and architecture design. Monkey Business Editor now supports custom design theme class handles for content layout buffers and content areas for a faster custom theme design workflow. Webmaster account initialization improvements help new users get started even easier with Monkey Business. Backoffice website template ( cpanel ) fixed resolving scrolling issues in browsers. Fixed bug in Style Wizard Theme Color customization tool. Fixed bug in stacking order of user interface elements across the system for a smoother, less distracting workflow. Performance improvements to the Mass Selection User Interface tool, now optimized for large data sets ( i.e. 5K+ ). This is particularly important for ecommerce operations managing catalogs with over 5000 products or more. Unified Search now returns a Nothing Found message to provide a more useful feedback to the user when no content is found matching the query.